Those wishing to take their smaller projects up a level regarding structure and implementation. Those interested in getting their foot in the door of the Yellowknife and NWT film community. Those interested in the general filmmaking process for larger budget films and TV productions. This is an entry-level position – anybody interested in film should and could attend! 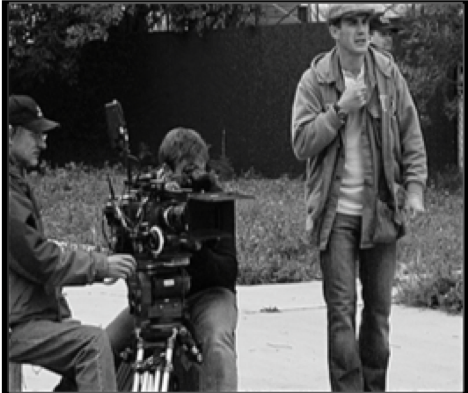 Kenny Chaplin has been apart of the Director’s team in film & television for over 20 years. He’s a member of the Director’s Guild of America (DGA) and Canada (DGC). He’s provided the call times to the likes of Ethan Hawke, James Garner, Ray Liotta, Donald Sutherland, and Abigail Breslin. His credits include features films such as Terrence Malick’s ‘The Thin Red Line’, Ang Lee’s ‘Ride With The Devil’, and Ridley Scott’s ‘Body of Lies’. His television credits include series such as ‘Judging Amy’, and ‘Roswell’.